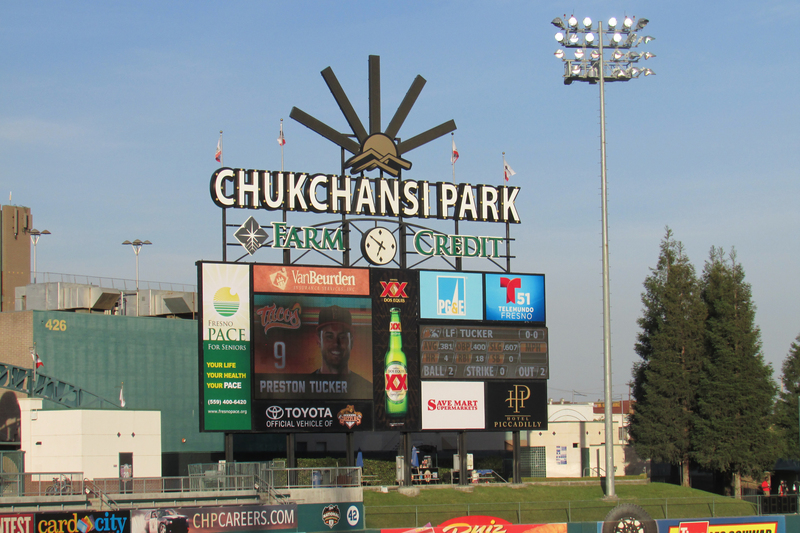 Fans of the Fresno Grizzlies are looking forward to a season of great baseball as the top affiliate of the World Series champion Houston Astros begins Pacific Coast League play – along with a lot of great minor league promotions. One of the team’s most popular promotions is Friday Night Fireworks, held every Friday the team is at home at Chukchansi Park. Farm Credit is proud to once again sponsor five of the fireworks extravaganzas. Farm Credit West is the presenting sponsor of the year’s second fireworks show on April 27 as the Grizzlies take on Tacoma. Golden State Farm Credit sponsors the fireworks on May 25 after the game against El Paso, while CoBank is sponsoring the fireworks on June 22 following the game with Albuquerque. 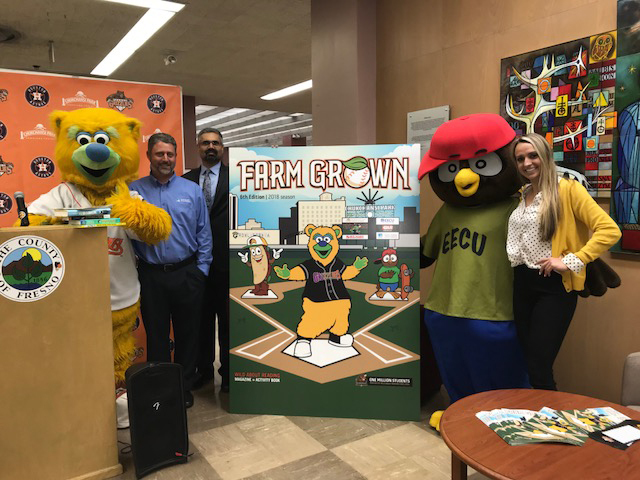 Leili Ghazi, president of CoBank’s Western Region Agribusiness Banking Group, said Farm Credit’s sponsorship of the Grizzlies is an important way the farm lending institutions give back to their community. “Great fireworks shows like the ones the Grizzlies put on are fantastic entertainment and a big part of the tradition of America,” Ghazi said. “But we’re equally proud to help sponsor the Grizzlies Community Fund’s Farm Grown program, which promotes the agricultural heritage and philanthropic vitality of the Central San Joaquin Valley through building meaningful partnerships in support of education and healthy living. One key way that message is shared is through the team’s phenomenally successful Wild About Reading program, which encourages young students to be excited about reading. Andrew Melrose, the team’s director of partnership marketing, said the Farm Credit partnership is critical to both helping the Grizzlies provide the best family entertainment in the Central Valley and sustaining the success of the Wild About Reading program. The program’s Farm Grown magazine features a story, activity pages, and ag-appropriate education about agriculture that is distributed for free to all participating schools and students. About the Fresno Grizzlies: The Fresno Grizzlies, Triple-A affiliate of the Houston Astros, are a member of the 16-team Pacific Coast League and one of 30 clubs in the world playing the highest level of Minor League Baseball. The team plays at 12,500-seat Chukchansi Park in Downtown Fresno, which is also a year-round community gathering place, hosting myriad other special events beyond Grizzlies’ games, such as concerts, professional soccer and high school sporting events. The Grizzlies will enter the 2018 season – their 21st in Fresno – on the momentum of three consecutive winning seasons, including a PCL and National Championship in 2015. For information on 2018 Fresno Grizzlies season ticket and mini-plans, fans should call the Grizzlies’ ticket office at 559.320.TIXS between 9 a.m. and 5 p.m. Monday through Friday.